The Swiss Nanoscience Institute (SNI) at the University of Basel is a center of excellence for nanosciences and nanotechnology. 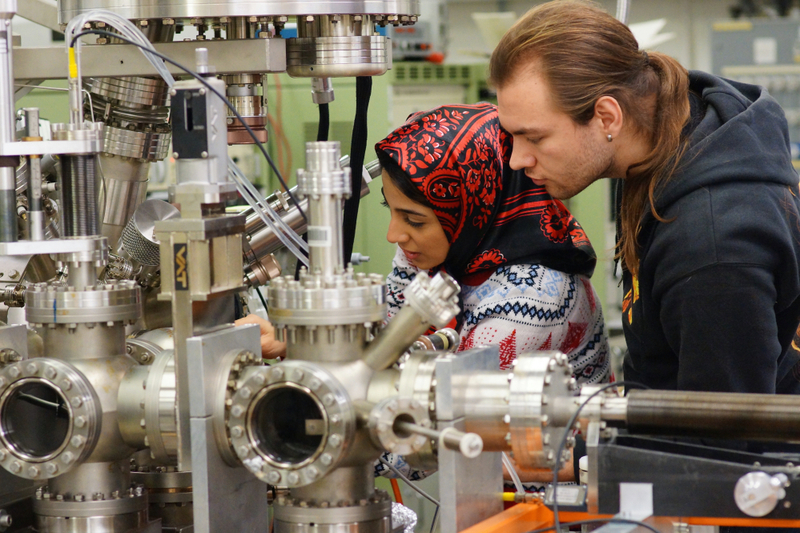 It was founded in 2006 by the University of Basel and the Swiss Canton Aargau in order to support research, education, and technology transfer in the nanosciences and in nanotechnology in Northwestern Switzerland. The SNI emerged from the National Center of Competence in Research (NCCR) Nanoscale Science, which was founded in 2001 with the University of Basel as leading house. Collaborations with industrial partners are initiated via existing contacts of SNI researchers, via inquiries by companies and via the Hightech Zentrum Aargau in Brugg, the key element of the Canton of Aargau’s high-tech program. In the SNI network, interdisciplinary teams of scientists of different research institutions in Northwestern Switzerland conduct basic and applied research and actively support knowledge and technology transfer to industry. Within the study of nanoscience and the PhD School, the SNI trains young scientists and prepares them for careers in industry and academia through a range of different activities. The SNI provides different services to partners from research and industry, is involved in public relations and outreach activities and specifically supports various initiatives, particularly those aiming to interest children, young people and their teachers in the natural sciences.